Lovely 4 BR, 2.5 Bath 2358 sq. 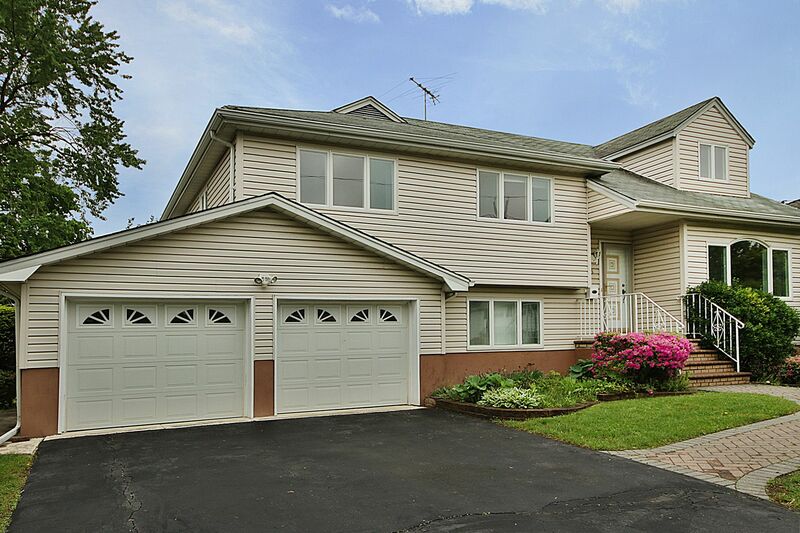 ft. expanded Tri-level split on a picture perfect street in the wonderful quaint town of New Milford. The large living room/dining room combination is perfect for entertaining and flows into the large family room with skylights and huge picture window overlooking lush lovely yard. The eat-in kitchen has stainless steel appliances. The second level has Master BR suite and two additional bedrooms with additional full bath. The third level has a spacious bedroom/bonus room. with plenty of closet space. The lower level boasts a large den/rec room, laundry room, 1/2 bath and huge two-car garage. The large unfinished basement has plenty of storage space. New furnace, newer C/A/C and windows. Great curb appeal. Wonderful schools. Do not miss this wonderful home!